CENTRAL TEXAS — A survey being conducted by a local health district is hoping to identify long-term health impacts from the West Fertilizer Plant Explosion. 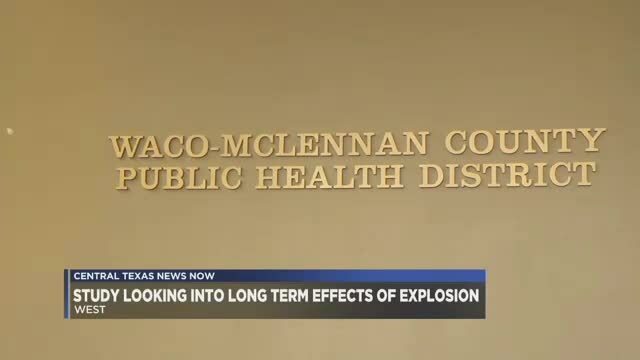 The Waco-McLennan County Public Health District is conducting a study to find any health issues facing the residents of West. The survey will assess the health impacts among West residents following the April 2013 explosion. The district had announced the plan to conduct a survey in February of 2019 . The 10-15 minute survey can be accessed online . Survey teams will also be in West from April 22 to May 3.